It probably will not surprise you that in a recent survey among consumers regarding food trends environmental sustainability ranked first. The words fresh, organic and local led a list that also included children’s nutrition, gluten-free and artisan as descriptions related to the food people want when they go out to eat. Going green with your menus will alert your customers that you are a caring part of their community; will enhance and broaden your selection; improve the quality of your food; and even improve your top and bottom line. What determines green and sustainable foods? In the simplest terms, sustainable agriculture is the production of food that uses farming techniques that protect the environment, public health, human communities, and animal welfare. It even includes the management of distribution to reduce the number of miles that food travels. Buying from efficient producers who value sustainability accomplishes this goal. Artisan foods are now the new buzzword, replacing gourmet. Approaching food in an artisan manner tells your customers you are trying harder to meet their needs. We have seen this trend in chains as ubiquitous as Subway and Domino. Artisan usually refers to handcrafted foods bought in small batches and made with higher quality ingredients. Popular artisan items include bacon, ice cream and cheese. It’s the Responsible Thing to do – green and sustainable agricultural practices protect the planet by improving soil nutrients, producing less pollution and reducing the need for fossil fuels. Green Food is in Demand – Once a novelty, green and sustainable food is now mainstream. Consumers are educated about what they are eating and they bring that knowledge and desire into your restaurant. Consumers are very passionate about their food and restaurants need to respond accordingly. It’s Profitable – Even though “going green” may cost more than conventional items, consumers are willing to pay more for the opportunity to eat environmentally healthy food. For them it is not an indulgence but a necessity. Green Food Shows You Care – Organic food is but one-step in a sustainable program that delivers a strong and positive message to your customers. Sustainability also includes energy savings, water conservation, using biodegradable products, sustainable design and eco-minded equipment. This will quickly distinguish you from your non-sustainable competition. So Many Options – The days of just a few green foods is gone. Chefs can now find year-round fruits and vegetables, pasta, baked goods, chocolate, honey, cheese and many other green products, wines and spirits. 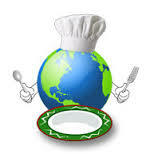 Green and sustainable foods but include poultry, lamb and beef. Locally sourced meat, seafood and poultry have found a place on restaurant menus. Sustainable livestock includes those that are grass fed and free range. Overall, serving green and sustainable foods delivers a message that connects you to your community. It differentiates your foodservice operation from international chains. Most importantly, it is a genuine message of wholesomeness and well-being that shows consumers you care about more than profits.